The Society was formed in 1969 by concerned residents in response to poor planning decisions, unsympathetic architectural design and mediocre construction of new developments. One of the first activities was to fight the Government over proposals to site a nuclear power station on the Solent coastline. The Isle of Wight Society is an amenity and conservation organisation, registered with the Charity Commission, number 276986, and affiliated to the national organisation Civic Voice. 1. To stimulate public interest in the Isle of Wight. 2. To promote high standards of planning and architecture in or effecting the Isle of Wight. 3. To secure the preservation, protection, development and improvement of features of historic or public interest in the Isle of Wight. Writing articles for publications and a monthly column in the IOW County Press. Holding an annual conservation award competition in conjunction with the Royal Institute of British Architects. Submitting comments on building developments to the IOW Council Planning Department. 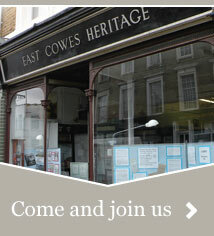 Supporting the East Cowes Heritage Centre and other organisations dealing with planning issues. What makes this Island special? The character of the Island is basically rural with enough undulations to provide vistas of the countryside, the surrounding sea and the busy sheltered water of the Solent. The mainstay of the Island is tourism and this is bolstered by marine and engineering industries, some agriculture, forestry and fishing. As a popular retirement destination the care of the elderly is also a factor in the economy. The people who have lived on the Island have left a rich heritage that supports the history of a developing community that has been industrious, involved with civil and international wars and produced some word leading engineering achievements. Nowhere else in Britain can boast of human history ranging from pre-Neolithic times through to the present day. The Isle of Wight Society operates from the Heritage Centre in Clarence Road, East Cowes. The centre is run by volunteers. It is an archive and exhibition space for artifacts and records of the town and the Island. Entry is free but opening times vary. See here. An exhibition celebrating 45 years of Conservation Awards by the Isle of Wight Society ran from Sat 27 October to Sat 17 November at the Quay Arts Centre, Newport. It celebrated the conservation awards given out over the years to Island project. Many of the winners and certificate recipients were illustrated in the exhibition. The Norris Castle Estate is a national treasure. What will be its future? Where is Norris Castle ? It is in East Cowes. If you walk up the quiet, narrow, Millfield Avenue, at the end of the gravel section you come to a large closed gate to a very private estate. On the left is a grey stone building with a tall tower. This is the original gate house to the estate. Beyond it the gravel road bends away through trees until it reaches a large stone mansion, Norris Castle. To the left, looking down the hill between the trees you see the waters of the Solent and the Hampshire coastline beyond. A second approach is along the narrow, quiet, New Barn Road. Again, at the end, you come across large metal closed gates with a lodge on the left. The gravel road beyond winds through fields until it reaches a large stone building. This is the farm complex complete with a large walled garden. The road continues past the fort-like farmhouse, curves around a copse of trees and arrives at the other end of Norris Castle. In this case the term castle means a large residence decorated externally with architectural fortifications. The eastern end of the castle was the family accommodation. Part of this is a large, round section of the building, with three floors above ground level surmounted by a tower. To the right there is another view of the Solent. Historic England have listed the Castle, the farm complex and the grounds as being of the greatest importance historically. This makes the whole estate nationally valuable. What makes it so unusual ? The estate was developed by the parliamentarian Lord Henry Seymour as his country retreat between 1798 and 1808. The farming industry had developed rapidly during the 1700s. The country was engaged in the Napoleonic Wars and needed food for the army. Lord Henry Seymour had Repton design the estate with recreational parkland around the castle but the rest he used as a model farm for raising cattle and growing cereals. Lord Seymour employed the nationally renowned James Wyatt to design the buildings for him. Wyatt used the topography of the land to create the maximum visual impact of the castle when seen from the Solent. While a number of people have owned the Norris estate very little has changed since the early 1800s. All the owners maintained the farm in some way while enjoying the castle and its position. This is an accolade to the skill of James Wyatt. Lord Seymour used seaweed as well as farm manure to improve the soil of the estate. Prior to World War Two the walled garden had examples of every fruit that was grown in Europe. The farm building is only one of two in the whole country to receive the highest listing from Historic England and is different in that the farm and walled garden are combined in one structure. Why are Historic England and the local community concerned about the future of the estate? It is a large estate with two large buildings to maintain. This requires money. During the latter part of the 1900s not enough investment was made to maintain the buildings properly. In 2011 Historic England put the castle on its “At Risk” register. In 2014 the owners put the estate on the market. There were over twenty bids submitted. The successful bidder was a developer who is proposing to convert castle into a bijou hotel. The Isle of Wight Society has been presenting Conservation Awards for the past forty five years and members are well aware of the problem of how to use old buildings in a manner that will ensure their future. In general we support the idea of owner occupation but this requires sufficient family income. Converting to a museum or other cultural centre is usually financially not viable. Another alternative is some commercial use where there is sufficient profit to maintain the structure. The idea of converting the Norris estate into a public amenity run commercially is attractive, especially as the estate has been out of public view except from the Solent where it provides a major landmark. However there are two major difficulties. One is that, like many public figures, including Queen Victoria who stayed at Norris as a young girl, they seek a quiet place to escape to and enjoy some peace. As described above, the road access to the Norris Estate, is not conducive to the easy flow of traffic, especially that required for construction work. Secondly the geology of the East Cowes peninsular is that of a gravel plateau overlaying clay. Some of the clay is Blue Slipper and liable to slippage as can be seen by the blockage of East Cowes Esplanade near Castle Point, adjacent to the Norris Estate. There are signs that there is some slippage near the castle that requires the land to be drained to correct this. This engineering work will be expensive. All this is in addition to correcting the deterioration of the castle building. To develop the estate to support a hotel will be expensive. For a normal hotel to be viable the minimum figure of sixty bedrooms is sometimes used as a guideline. There is concern that the accommodation cannot be divided up sympathetically to provide this. 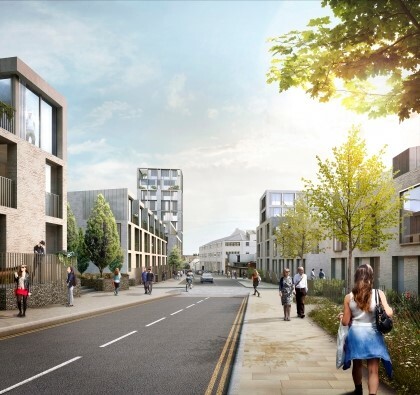 The developer is proposing that permission be given for sufficient “enabling development” (housing) to be built on the Norris estate to provide the capital required. Many people who are considering the future of the estate feel that the building of houses on the estate will destroy the balance of a large residence supported by a farm. It will be additional housing in a community that over the last fifteen years has seen its population grow by about two thousand without any improvement in its infrastructure. East Cowes has only one road from the south serving a peninsula with one of the two major ports at its northern extremity. Then there is the problem of access to the Norris Estate. The developer is proposing a new road through the adjoining Spring Hill estate, again over blue slipper clay. This is a complex issue. Do nothing and the castle will eventually collapse. Do we ignore the historic value of the Norris estate on this Island which has so much history and relies so much on the tourism industry? Do we allow development that may not be completed, leaving a situation where nobody is satisfied with the result? When a planning application is submitted it will be up to the case officer to make a recommendation to the councillors on the planning committee with enough conditions attached to ensure that the Island's wishes are met. However, even the Island Council admits that under the present, almost impossibly difficult financial situation, their lack of powers of enforcement and fear of financial loss, if taken to appeal on refusal, may not leave them in a position to support our local heritage. Historic England invited those organisations interested in the Norris Estate and its future to a workshop to discuss the matter. Among those invited were: - The Isle of Wight Council, the national Gardens Trust, the Isle of Wight Gardens Trust, the national Georgian Group, the Isle of Wight Area of Outstanding Natural Beauty (AONB), the Campaign to Protect Rural England (CPRE), East Cowes Town Council and the Isle of Wight Society. During the morning six excellent presentations were made giving the background to the present circumstances. In the afternoon the planning process was presented, highlighting the different levels of protection for historic buildings and the balance of benefit and harm a development might produce. The organisations then divided into groups and discussed various questions and produced comments. It was agreed by everyone that not enough of the public knew the true nature of the Norris Estate and that it is essential to educate both the public and the councillors and officers of the Island Council in this matter. At the end of the meeting the county councillor for heritage, who made the opening comments saying that the meeting could provide guidance for the planners, agreed that the Norris Estate is a national treasure. As a Life Member of the Isle of Wight Society, and receiving the Isle of Wight Society’s Conservation Award for works carried out at my home, Great Whitcombe Manor, in 1985, I wanted you both, and my fellow members, to know about my project. The project is to provide accommodation in the Brew House, incorporating the Byre, to display and exhibit my four collections, for the benefit of education and tourism and to restore the Waggon Shed as a Lecture Hall, Shop and Cafe with public facilities. To that end, I am building up a team of volunteers who love the Isle of Wight, with its heritage, and wish its culture and history to be recognised. My award of the British Empire Medal from H.M. the Queen in the New Year Honours 2018, for my services to the Cultural History of the City of London, brings me to proffer my expertise and experience for the benefit of the Island. The Design and Conservations Awards took place on May 18th at the Royal Yacht Squadron. A listing of the winners is now on the Conservation Awards page. Isle of Wight Society Membership was due on 1st January, for those of you who are not life members , or have not renewed already in the last three months. or make a BACS payment on line quoting your name as reference, the IWS sort code is 30-95-99 and the account number is 00331217. Meetings are held at East Cowes Heritage Centre on the fourth Tuesday of the month and all are welcome. There are vacancies on our Executive Committee at present as one member has just retired and another has family health problems, so if you are interested in joining us with a more hands on approach on planning issues, let me know. IWS Conservation Awards for 2019. Entries are being sought for these prestigious awards and should be entered by 14th February 2019. 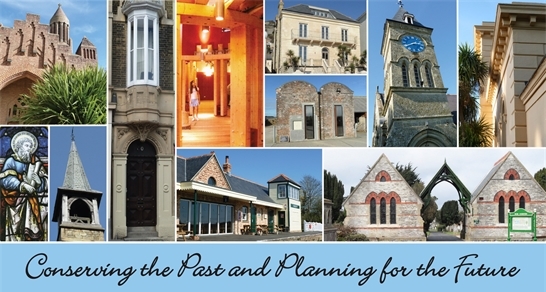 Details and entry forms are on our Isle of Wight Society website so please have a look and if you have seen any restoration projects, or new builds in keeping with their surroundings please let the developers know so that they can enter. Awards evening will be at the Royal Yacht Squadron Pavilion in May 2019. Kind Regards, Sarah Burdett BEM, Secretary to the Executive. East Cowes Heritage celebrated their 25th anniversary on 7th October 2017 at East Cowes Town Hall. 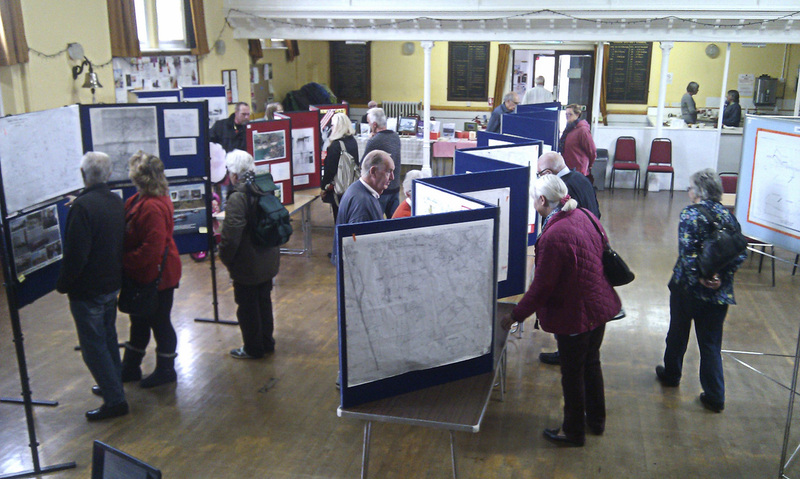 Members of the public were able to see 56 display boards about East Cowes. These showed old maps, estate plans, sales documents, aerial views and many other large exhibits. The earliest dated from 1743, right up to aerial views of the town in the 1990s. The growth of the town immediately after WWII was shown by plans of the numerous estates built to replace houses bombed during the war and for the many extra skilled workers needed by the aircraft manufacturer Saunders Roe in the early 1950s. This exhibition could not have been created 25 years ago as the material was dispersed throughout the community. By having an open door policy with free admission this encouraged residents to bring in material and information including some that otherwise would have been destroyed. 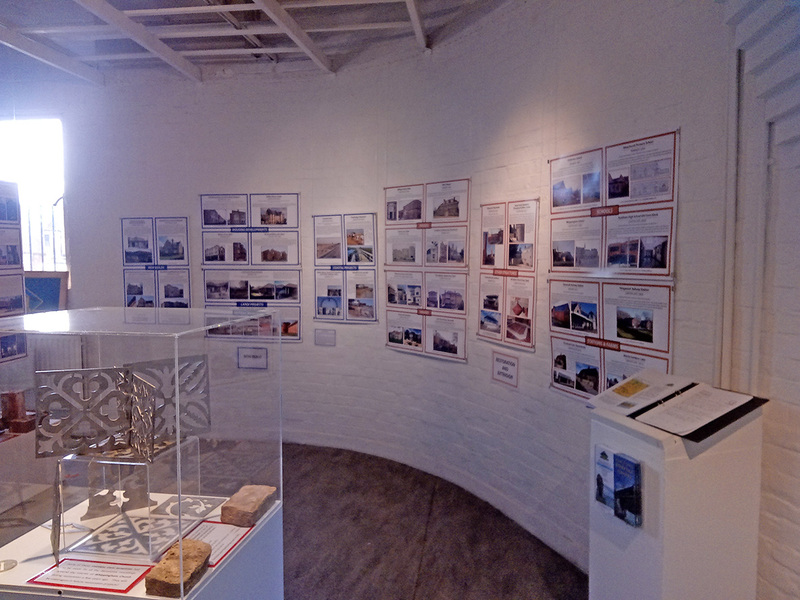 Initially the volunteers at the Heritage Centre thought that the town’s history would be collected within two years. 25 years later they are still learning about our rich and fascinating past. Their experience has shown that every community needs a depository – somewhere where historic material can be collected and hopefully represented to its community. 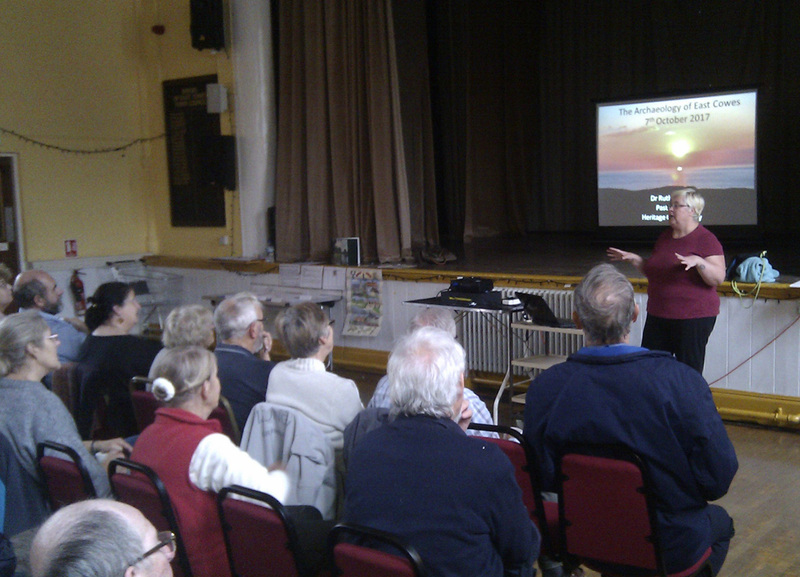 Dr Ruth Waller gave an excellent talk about the archaeology of East Cowes, amazing the audience with the details of what has been found in the town even from our Mesolithic past. East Cowes was at the forefront of technology even then! 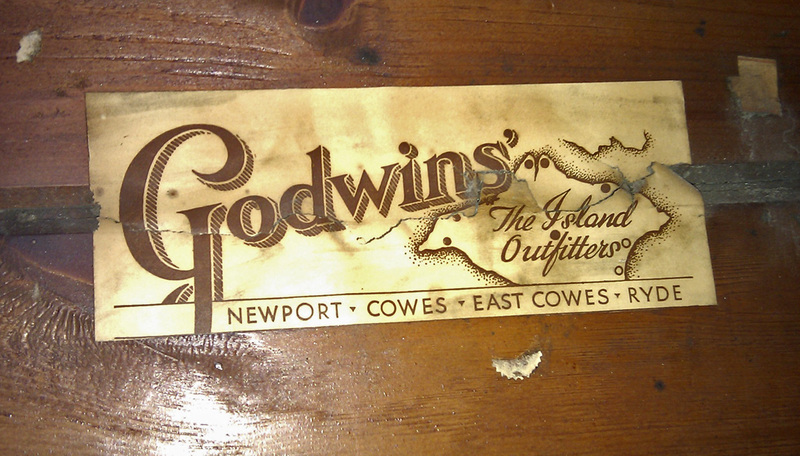 Currently Godwins’ old shop in Ferry Road is undergoing restoration and a poster advertising jeans in the 1960s from the wall was given to the Heritage Centre last week by the new owners, who also found adverts for the shop stuck to the walls. Books on local East Cowes history are on sale at East Cowes Heritage Centre. These have been sent all over the world to friends, relatives, and past residents of the town. From this, even more material has been received at the Centre. New stewards are always welcome to help, and the friendly bunch of volunteers finds there is always plenty to do. The Centre is open from 10a.m. until 1p.m. daily except Sundays, and until 4p.m. on Wednesdays. 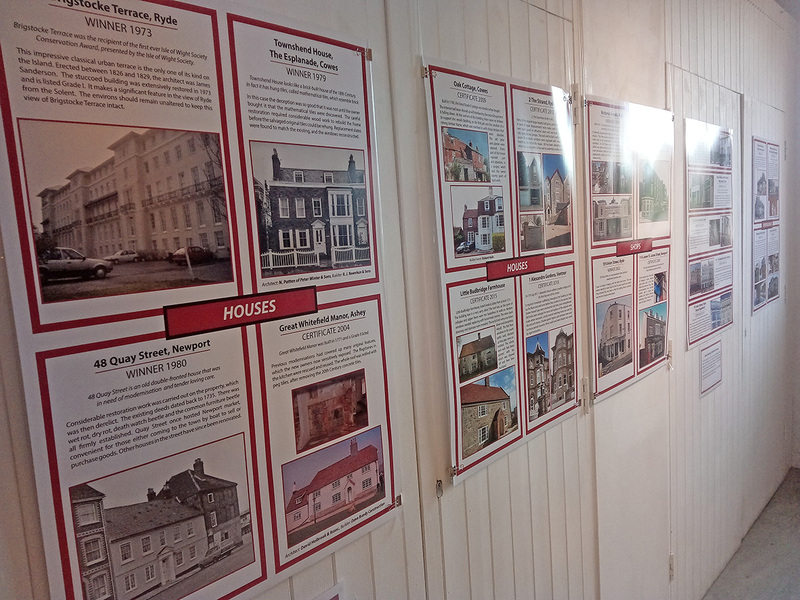 The new temporary exhibition looks at the changes that have taken place in East Cowes over the last 25 years. Entry is free. East Cowes Heritage hopes that it will be going strong for another 25 years. Historians then will be pleased to find how much has already been done to record the history of the town. The Island Council is permitting housing development in line with Government targets, it also has a PFI contract for the maintenance of the roads. The Island has fairly comprehensive medical services with strong links to Southampton and Portsmouth hospitals. Housing developments, devolution of services and infrastructure support feature greatly in the present political climate. The Society, along with other bodies, are monitoring the issues and are voicing their concerns. The developments in and of East Cowes in conjunction with Red Funnel Ferries. Major planning developments for the 1. The Red Funnel Terminal and 2. Victoria Quays in West Cowes are also under consideration. The East Cowes group of the Isle of Wight Society are concerned at the height of the landmark tower apartment blocks proposed next to the Barracks on the seafront and have written objections.